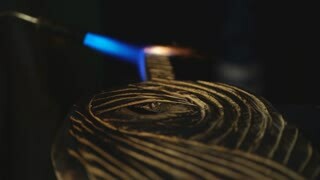 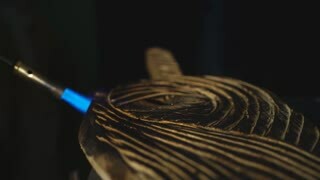 3D printer laser beam burns pattern close-up on wooden board. 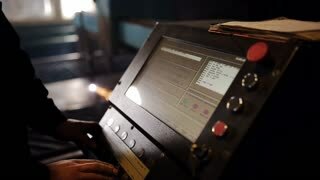 Industrial Modern technological background. 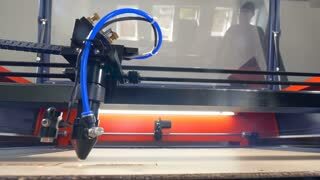 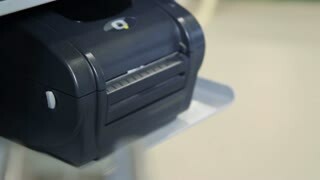 Industrial laser engraver in action.